KNX Bus to RS-232 interface. 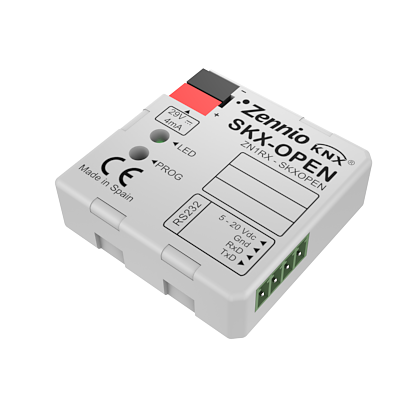 SKX Advance is a KNX-RS232 bidirectional communication interface. SKX Advance allows integrating external devices with KNX, via an RS232 port. The main feature is the possibility of integrating multiple devices with KNX regardless of the protocol and manufacturer. Configurable RS232 communication control. RS232 cable included.